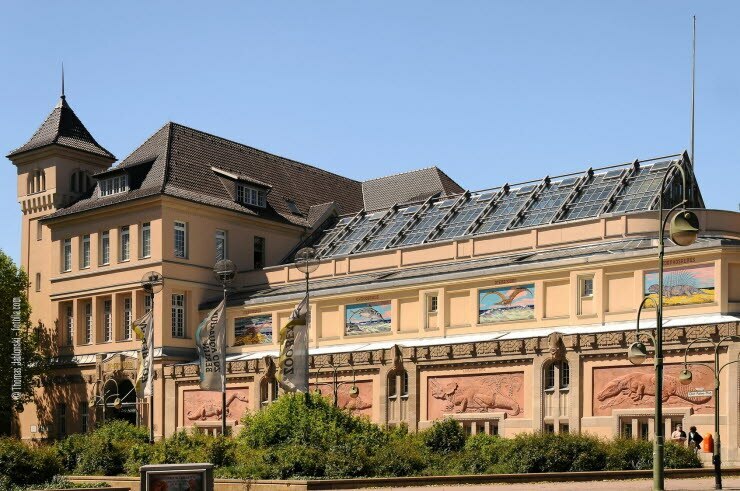 The oldest zoo in Berlin, next to the park Tiergarten, consist of wonderful zoological gardens and an aquarium, with species ranging from alpaca to the pygmy hippopotamus. The zoo offers guided tours especially for families and you shouldn't miss the daily feeding times for the animals, it's great fun for all ages. It's possible to hold your kid's birthday party in an extraordinary atmosphere at the zoo. You can visit the animals around the year. Experience a broad spectrum of old and new technology. Permanent exhibtions, events and educations about various historical connections to culture and everyday life. 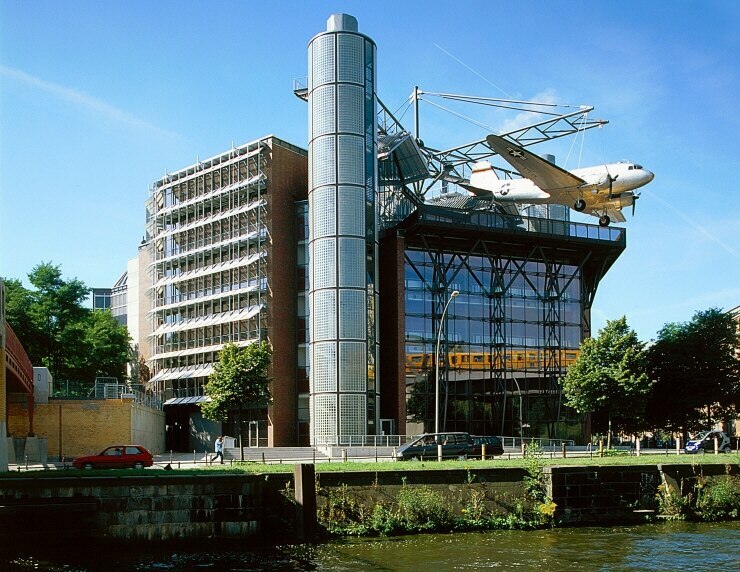 The German aviation and space travel history consist of several sections and contains large-scale objects. This museum caters to everyone and exhibitions, workshops and tours especially for families and kids. How do new species evolve? Why do zebras have stripes? What did our world look like 150 million years ago? These questions and much more can be answered at the Museum fur Naturkunde in Berlin. Such a thrill for everyone! Bring your kids to a fantastic adventure and watch the dinosaur skeletons and take a voyage through space and time and learn about the cosmos and the solar systems. Explore the amazing city park, designed by landscape architects and urban planners, and oasis located in the area of Gleisdreieck in the center of the city. Active kids will have a great time at the children's playground, basketball court, skate park, football field or bowling. Relax and sunbathe on the green lawns. It's a public park and no entrance fee. This lego land of 3500 m² will not let your kids down. Let the creativity, ideas and interactivity flow at Legoland Discovery Centre Berlin. Located in Sony Center at Potsdamer Platz. Berlin has a large number of play areas where kids can do many activities. Explore the jungle! Dschungel-Spielplatz in the area of Berlin-Steglitz . Climbing and discovering the "jungle". Tree houses, suspension bridges and wildlife atmosphoere. Play areas in Volkspark Friedrichshain in central Berlin located between the Prenzlauer Berg and Friedrichshain area. Families, kids, strollers and for anyone who looks for recreation, sports and playgrounds and beautiful surroundings with lakes and cafés. There's a large number of playgrounds suitable for all ages. The fountain next to Cafe Schönbrunn is highly recommended for kids. Kids can enjoy trampolines, climbing ropes and wooden houses. Berlin offer a wide range of activities for families with children of all ages. From our Berlin hotels Scandic Berlin Potsdamer Platz and Scandic Berlin Kurfürstendamm, you can quickly reach the recommended attractions and sights, as they are all in the immediate area. It's the perfect location for a weekend trip. And as always, kids under 13 years stay at no extra cost in adult's company.